Do you have an account with Corporation Bank? Do you have the passbook? Passbook printing is indeed the traditional way of remaining updated with the account. The world is getting digitalized, and different services are getting easier and convenient. 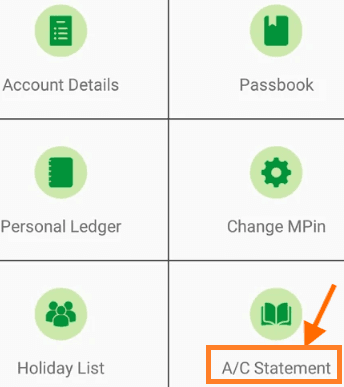 If you don't have a passbook or don't have time to update the passbook in the bank, you can get Corporation Bank Account Statement following other methods. Corporation Bank offers advanced banking services ensuring customer's convenience. You need to activate Internet Banking facility for your account. Registered Internet banking customers will receive the User ID and Password to login. Step 1: Visit the official website of Corporation bank Move the mouse cursor to the Internet Banking Personal/Corporate/Cash Management link, from the options featured on the homepage. You will get directed to the 'Welcome Page' where you need to Log In using the User ID and Password. Click on 'Continue' button to Log In. Step 2: A list of running account will be displayed on the screen, just click on the 'detailed' to proceed further. Step 3: Next select the date range for account statement and click the submit button. Step 4: The Account Statement for the account will get displayed on the screen. Click on the download button. You will get the option to download in PDF, CSV, and many other formats. Choose your desired format for account statement and click on 'saveas' button. Check your computer downloads folder and save it for future reference. Step 1: You can also register for Mobile Banking services downloading the Corp e-Passbook app. To avail the facility, the customer must have a Single Customer ID- CIF. You also need to register the mobile number at the bank and get it linked with the account. Step 2: After downloading the app, tap on the icon to open it. Tap on 'Send SMS'. Make sure to set the registered mobile number as the default number for sending SMS. Tap on the 'Proceed' button. Step 3: You will receive the OTP via SMS. Enter the OTP in the provided box and click on Continue. The app will prompt to enter the six-digit m-PIN. After completing the steps successfully, the screen will display the 'Successful Registration' message. Step 4: Log in using the Six-Digit m-PIN and start accessing the features. Search for A/C statement on the home page and click on it. Select account number, enter an email address and choose a date range for account statement. Download the account statement in PDF/XLS file format providing the email ID. You will get the real-time account balance on the mobile app. You can also avail offline view facility. Both the options for getting the Corporation Bank account statement are convenient in comparison to the traditional method of passbook printing. what are the corporation bank account statement charges? please provide me with my last 3 months bank statement on my mail. I want to know the corporation bank account statement charges. 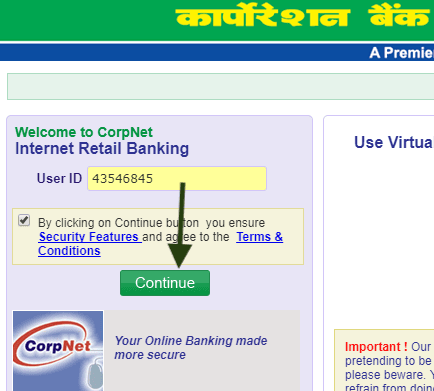 how to download the corporation bank statement online without internet banking and password. Please send my corporation bank account statement to my gmail ID. 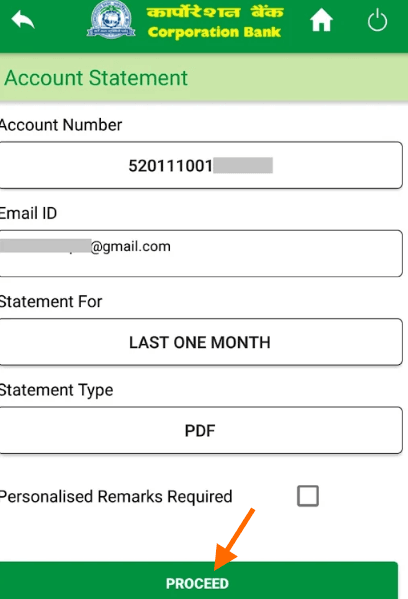 how to download account statement in corporation bank net banking. how to download the statement from new website? Seems there is no way. the pdf file is password protected what will be password.